De-seed and cut the mango into small cubes. 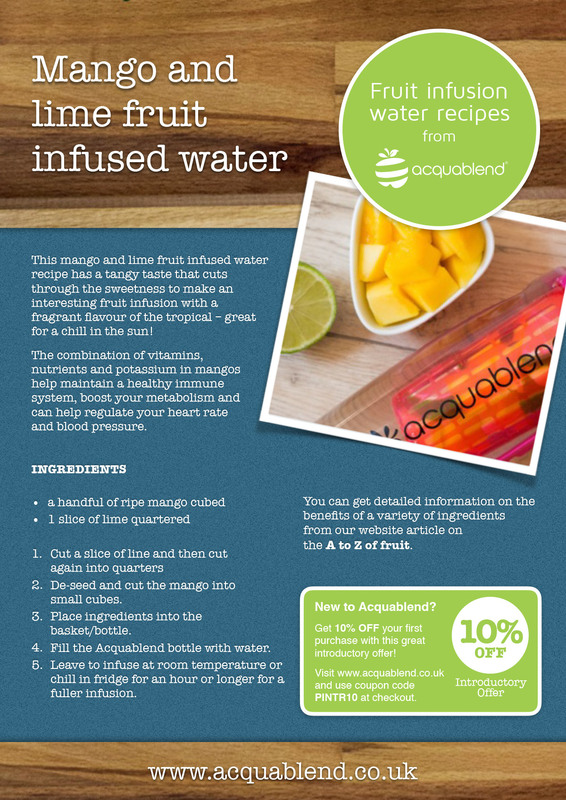 This mango and lime fruit infused water recipe has a tangy taste that cuts through the sweetness to make an interesting fruit infusion with a fragrant flavour of the tropical – great for a chill in the sun! The combination of vitamins, nutrients and potassium in mangos help maintain a healthy immune system, boost your metabolism and can help regulate your heart rate and blood pressure.